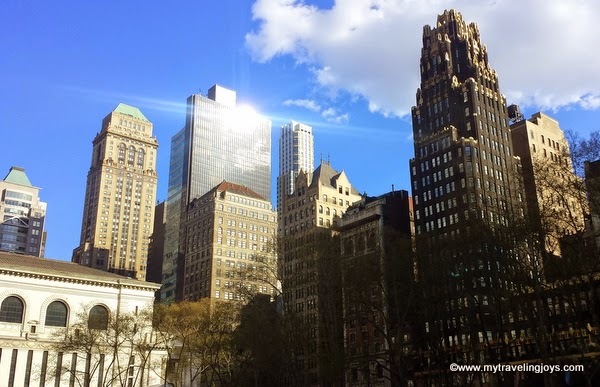 New York City is always a good idea and visiting in the spring is an even better idea! I recently spent about three days back in NYC, my first time back on American soil in more than 18 months. I honestly experienced some culture shock this time because everyone spoke English and the city is filled with so many different colors of people. This is such a different scene than Poland where we currently live. Besides meeting up with family and friends, I love simply wandering around NYC with my camera. I love her iconic buildings such as the Empire State, Flatiron and other skyscrapers. 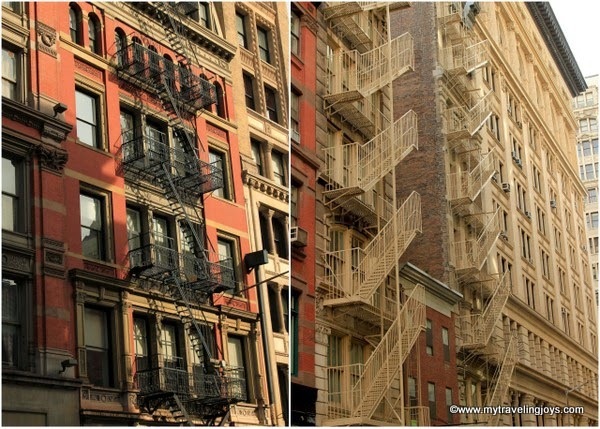 I love the old metal fire escapes, the large windows and brownstone buildings. There’s so much I want to capture an image of – little things perhaps I didn’t take notice of as much when I actually lived here. And then there’s the city’s rebirth during spring. Pink and white blossomed trees line the streets. People are out enjoying the sunshine and relaxing in the parks. Planters are filled with colorful daffodils and tulips. I loved being back in the city! 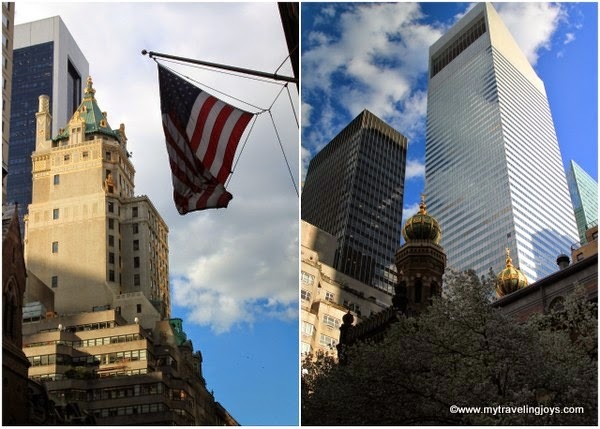 And just to share my love of NYC, here’s a photo post featuring some of my favorite springtime images I took during this trip. Enjoy! Where do you like to enjoy spring? NYC's skyscrapers surrounding Bryant Park. Did you know that Bryant Park is built over an entire structure that houses the New York Public Library’s archives? 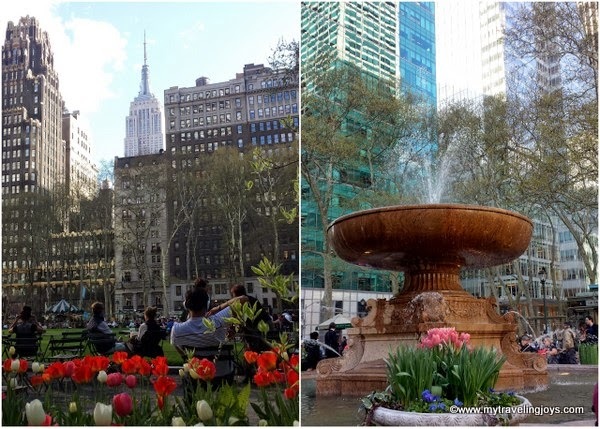 Bryant Park is a lovely patch of green located in Midtown Manhattan, between 5th and 6th Avenues and 40th to 42nd Streets. 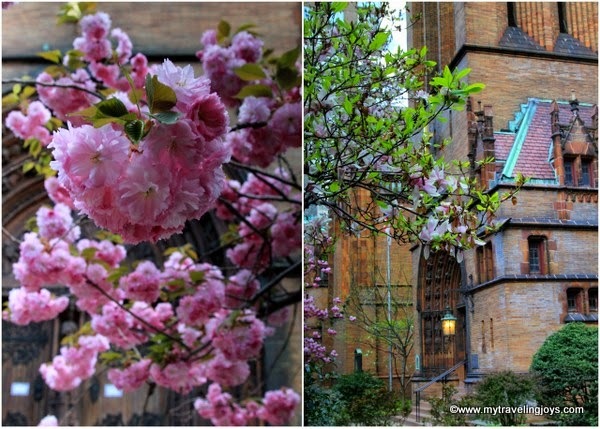 Springtime blossoms at the Church of the Holy Trinity, built in 1917, located on the Upper East Side. I also love the water towers that dot the city’s skyline! Most buildings in the city taller than six stories actually need some sort of water tower and pumping system to provide water pressure to their tenants. If you're in the mood for shopping, head to Macy's on 34th Street. But remember to look up and look for the Empire State Building too! 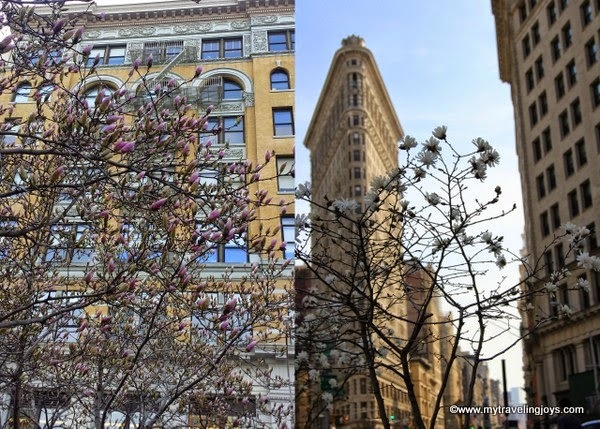 NYC's Flatiron building and spring flowers - what a wonderful sight! Not surprised you have culture shock when you were there. Amazing what you become used to, isn't it. I was amazed to see these water towers and ancient air-con units in NewYork the first time I went. I expected everything to be cutting edge new for some reason. Teşekkürler! So happy to see spring and greenery again!